A stunning anthology that blends poetry and information about the sea. 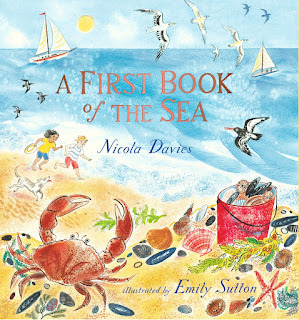 From Nicola Davies and Emily Sutton, the multi award-winning team behind Tiny and Lots, comes A First Book of the Sea, a spellbinding collection of poems about the oceans of the world and their shores. 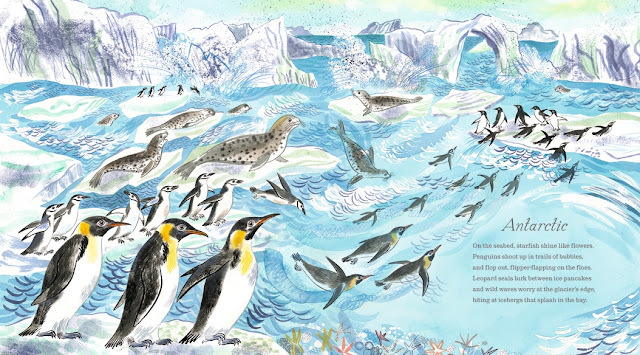 With this book, children can swim alongside dolphins and flying fish, pore over rockpools and sail from pole to pole and back, learning about everything from phosphorescence and plankton to manta rays and puffins – all in the comfort of their bedroom. 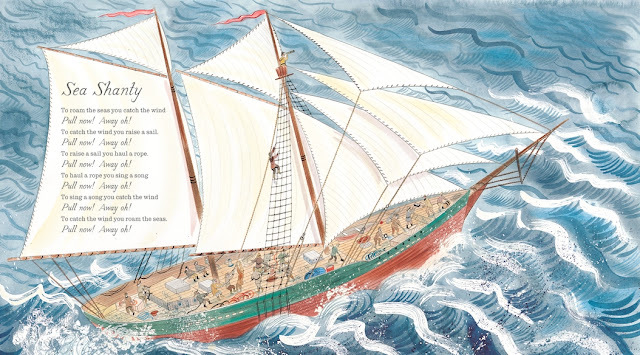 Emily Sutton's exquisite watercolours capture the breathless excitement of a child's first glimpse of the sea, the majesty of ancient trading ships and the sheer, staggering wonder of the humpback whale. The perfect companion to international bestsellers A First Book of Nature and A First Book of Animals, this book is sure to enthral and inspire readers of all ages. There is nothing that makes me happier than the sea. As soon as that sliver of unmistakable blue is in my eye, I start to smile. It’s involuntary, automatic. It doesn't even have to be summer, it doesn't have to be daylight: the shimmering moonlight path, the sound of surf through a wound down car window, they have the same effect. I can't be near the sea without wanting to be nearer; I can't be by the sea without wanting to be in it or on it. Holidays without sea are just ‘time off’, OK but ultimately unsatisfactory. Any day with even a small amount of sea in, is a holiday. plywood surfboards left over from my older siblings tenure in childhood. Our beach activities were Sitting and Looking, Walking Idly in the Shallows, Pebble and Shell Admiring, Rock Pool Peering. All collections were left on the beach, all creativity - sandcastles, sand and pebble art - were erased by the tide; impermanence made creativity playful, experimentation less risky. The closest we got to anything formal was Pebble Cake shop, a game played when I was very small; nothing since has ever been so satisfying as bargaining for rocks with pebbles. surprise, whose visceral sweetness takes my breath every single time. I’ve spent days - probably weeks - of my life simply staring at the sea, letting my mind wash about with the waves and tide. It has taught me to replicate that odd uncoupling of consciousness almost at will. I can let go and wander. I wandered a lot whilst writing A First Book of the Sea - trailed through the beaches and seas of my childhood; the big dunes of Llangenith, the sweep of Newgale, the boats coming into Aldeburgh with flatfish still flapping on the bottom, the salt marshes of Cley and Blakney with the skeins of Brent geese scribbled in their corners. I wandered too in the kind of dreams that the sea makes possible for us all; I imagined all the shores to which each shore is connected; the times that are linked by the sound of waves and the salt of the water, times with pirates and triremes, ichthyosaurs and trilobites and the depths of ocean trenches and the pull of the moon, and planets and stars that the water on our planet holds and divines. Imagining brought me all sorts of poems about animals and tides, real voyages and ones that we can only make in our hearts. When I first studied whales, I did so on a cliff in Newfoundland. Sea mist would roll in off the cold Atlantic and the dry, wind pruned vegetation of the cliff top would soak up the moisture; sea birds would spend the day scouring hundreds of square miles of blue to return to their nests, under the rocks and heathers. I sailed from the open sea back to the arms of distant harbours. I saw, and lived every day the unity of the world. The sea is our connector: it links us to the salt water history of all life and the tiny oceans that each of the cells in our body hold; it links us to all places and all journeys, from the tiny perambulations of a limpet to the voyages of the Polynesian navigators but most of all it connects us, instantly, to the great power of the wild, to nature, our mother, before whom we are all little children. 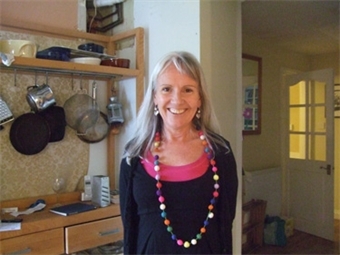 Nicola Davies is an award-winning author, whose many books for children include A First Book of Nature, A First Book of Animals, Lots, Tiny, The Promise, King of the Sky, Big Blue Whale, Dolphin Baby, Just Ducks. She graduated in zoology, studied whales and bats and then worked for the BBC Natural History Unit. Visit Nicola at www.nicola-davies.com, or follow her on Twitter @nicolakidsbooks. Emily Sutton graduated from Edinburgh College of Art with a degree in illustration. 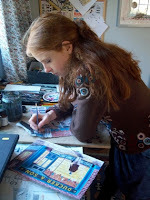 As well as illustrating picture books, she paints, sculpts and designs prints. 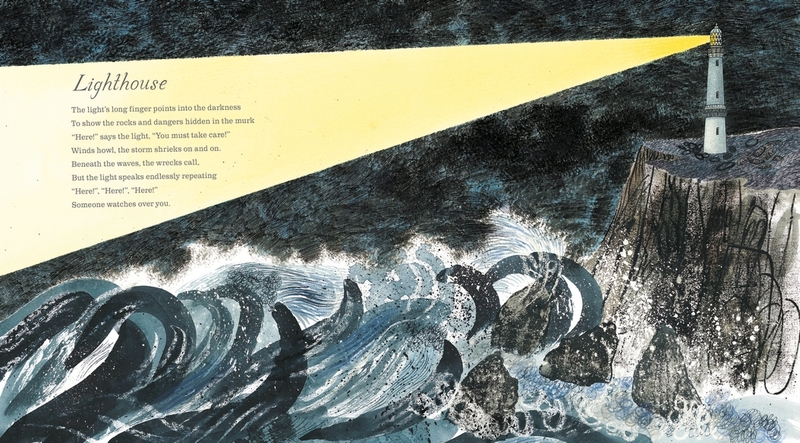 Emily's first picture book, Clara Button and the Magical Hat Day,was published by the V&A. Her previous titles for Walker include Tiny, The Christmas Eve Tree and Lots. Visit Emily at www.emillustrates.com.